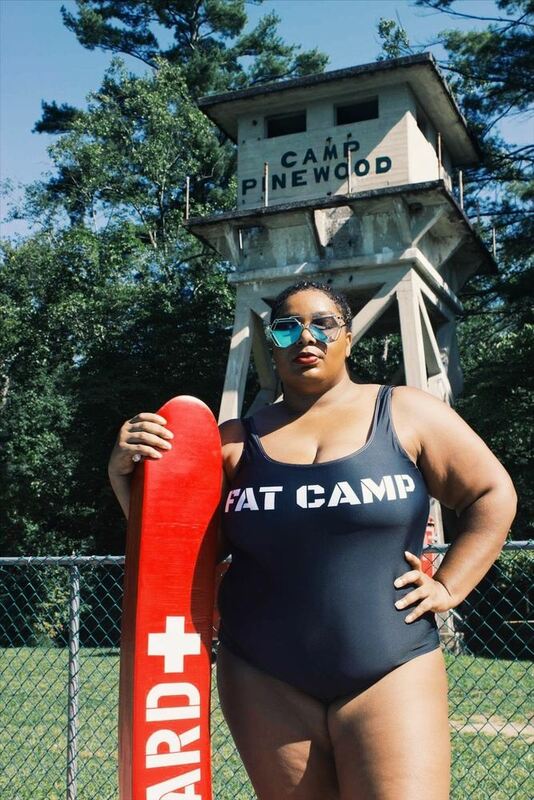 Not the Fat Camp you remember growing up, Annette Richmond is reclaiming this memory and has launched her own version of Fat Camp, a safe space where all bodies are celebrated; diet talk is off the table; self love is the message and campers will leave feeling empowered in North Carolina! Hearing the phrase “Fat Camp” may invoke a vision of a the kind of summer camp where parents sent their kids against their will. Activities included: calories counting, weigh-ins, restrictive diets and way too much aerobics. But Annette Richmond, the blogger behind From Annette with Love, is giving Fat Camp a new meaning. 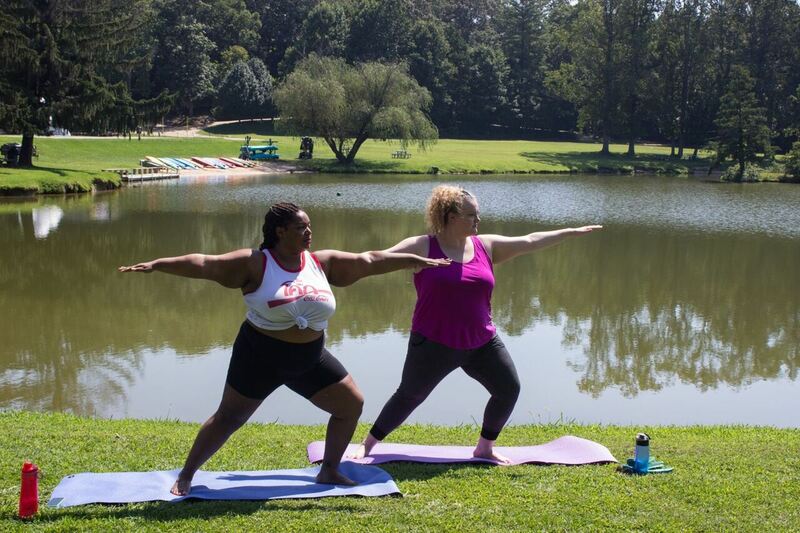 Instead of shame, guilt and disappointment, she created her own Fat Camp – a safe space where all bodies are celebrated; diet talk is off the table; self love is the message and campers will leave feeling empowered. The first Fat Camp is taking place in North Carolina’s Blue Ridge Mountains from August 24-27, 2018. Annette Richmond at Shinjuku Garden in Tokyo. Annette has been blogging since the early 2000s and she says she launched her current blog, From Annette with Love, in 2016 as a way to talk about all the things she loved and would love to change. One of the most popular topics Richmond has become known for is travel. Currently, Annette is working at a summer camp for kids as she has done for the past few summer but prior to that she spent eight months in Southeast Asia. She says she is starting to feel more at home on the road in the states. Noticing that there were not a lot of plus size women in the travel blogging space, she created Fat Girls Traveling, an Instagram and corresponding Facebook group, where fat women could see themselves represented. 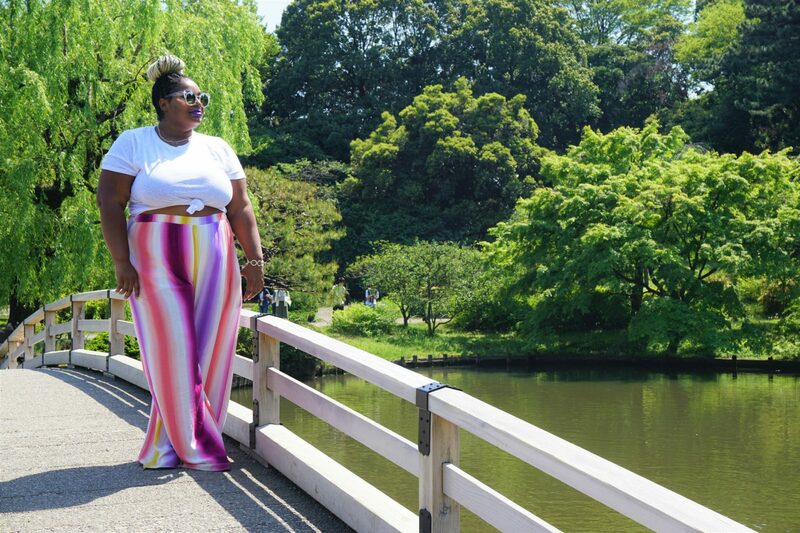 Both platforms have amassed thousands of followers and the #FatGirlsTraveling movement has been featured on Allure, Huffington Post, Upworthy and more! The Fat Girls Traveling Facebook group is a safe space where plus size travelers can share their adventures and ask for advice from fellow people of size. I am a member of the group and I remember searching through threads prior to going to Universal Studios to see what other fat babes had said about fitting into rides. Their advice put me at ease and helped me feel supported. There’s a real camaraderie in the group. It was no surprise to me, to learn that the idea for Fat Camp was born right in the Facebook group! 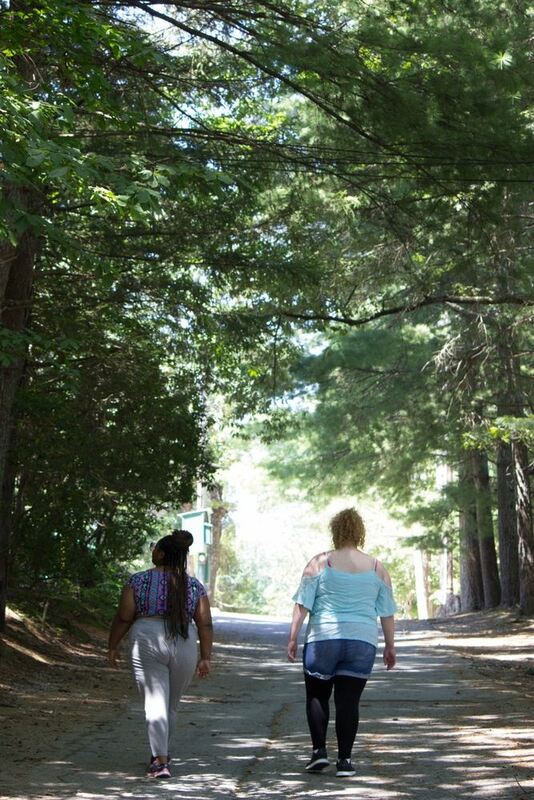 “I’ve shared photos and video from my camp adventures here in North Carolina and my friends and members of Fat Girls Traveling would always comment on how much fun I must be having and how an adult summer camp would be such a great experience,” says Richmond. Campers will be staying in rustic cabins and sharing communal bathrooms so plan on getting close to your fellow campers. Fat Camp will feature a mixture of activities, workshops and partying. The day starts at 8 AM with body positive yoga with Amber Karnes. After breakfast, there will be activities such as making friendship-bracelet or playing four square followed by a workshop featuring a panel of experts. Next up with be lunch followed by a rest and water activities such as a pool party and paddle boarding. Happy Hour starts at 5 and another expert workshop follows. The evening ends with movie night and a campfire. 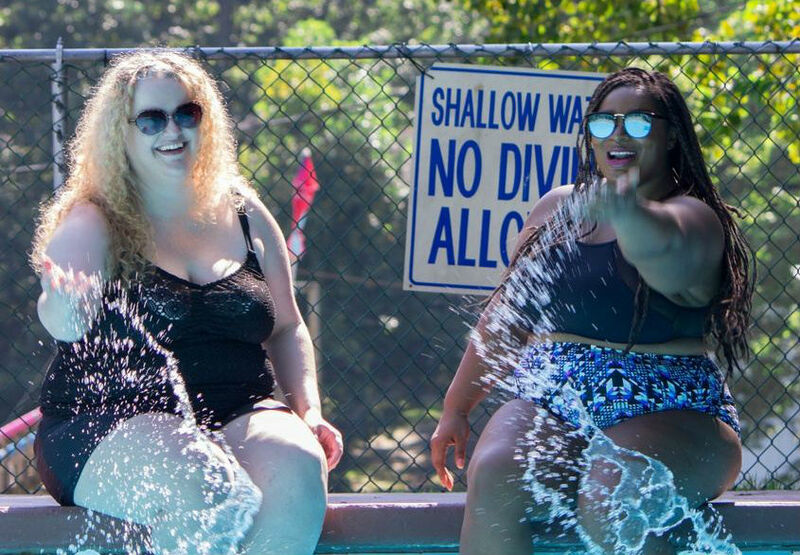 “Fat Camp is an opportunity for people to be real and transparent, to get to know a more authentic and vulnerable side of some of their favorite fashion, travel influencers and body positivity advocates,” says Richmond. Some of those VICs include Sarah Chiwaya of the blog, Curvily, Liz Black of P.S. It’s Fashion and Ashley Carter of Fab Ellis. There will also be a screening of the documentary, Fattitude. If you’re looking to join the Fat Camp fun, book your spot NOW! Though Annette says the first year is starting out more intimate, she hopes that it will continue to grow. And we know it will! She says her ideal location for Fat Camp one day would be Thailand. Um. Sign us up for Thailand! What do you think about this camp? Are you signing up? Are you excited about this event? Let us know!